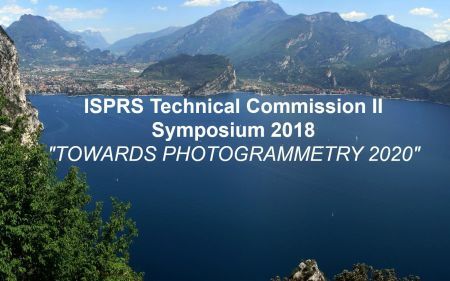 In 2018, TC II mid-term Symposium will be held in Riva del Garda (Italy) on 3-7 June - http://www.isprs.org/tc2-symposium2018/. The Symposium will feature an initial day of tutorials, 4 days with plenary and parallel sessions and an exhibition of the most important business players in the photogrammetric domain. There will be 4 invited speakers covering all aspects of the Photogrammetric and Geospatial fields: Jantien Stoter (3D Geoinformation group, Delft University of Technology, The Netherlands) on “Designing, developing and implementing better systems to model 3D cities, buildings and landscapes”; Davide Scaramuzza (Robotics and Perception group, University of Zurich, Switzerland) on “Autonomous, Agile, Vision-controlled Drones: from Active to Event Vision”; André Streilein (Swisstopo, Switzerland) on “National mapping agencies in a changing period”; Camillo Ressl (Department of Geodesy and Geoinformation, Photogrammetry group, Technical University Vienna, Austria) on “Investigating Dense Image Matching”. The event will provide ample opportunities for scientific exchange and discussion. All submitted papers, which will be handled electronically using Conftool, will follow two types of submissions: (1) full papers undergoing a double-blind peer-review process (deadline: January 12th, 2018) and (2) extended abstracts undergoing a review process (deadline: January 26th, 2018). The event will be organized by FBK Trento in collaboration with ARIDA (Association for Real-time Imaging and Dynamic Analysis), JSPRS (Japanese Society of Photogrammetry and Remote Sensing) and SIFET (Italian Society of Photogrammetry and Topography). The venue of the event is a beautiful small city on the Garda Lake, the largest lake in Italy. The mild climate of Riva del Garda favors a typically Mediterranean vegetation with lemon trees, olive trees, laurels and palm trees: a true Mediterranean island at the foot of the Dolomites. The center of Riva del Garda will fascinate you with its works of art and architecture, witnessing to ancient history and a past rich in art and culture. On behalf of the symposium organizing committee, we are looking forward to seeing you in Riva in June 2018. IGI - Integrated Geospatial Innovations, Kreuztal, Germany is an innovative German vendor of photogrammetric hardware, software and workflows. IGI is very pleased to continue to offer its IGI Ambassador Award via The ISPRS Foundation (TIF) to young scientists in photogrammetry and laser scanning from regionally under-represented African countries in the geospatial sciences and technology fields. The award allows for visits at IGI‘s Central Office, Kreuztal, Germany, and active participation at ISPRS Workshops, Conferences and Symposia. It is expected that the recipients will prepare comprehensive reports about all visits funded by this award for publication in IGI and ISPRS/TIF Websites and Newsletters. Furthermore, they will become an IGI ambassador for all IGI products and workflows. A statement that they would be available for approximately 2 weeks in 2018 to undertake this travel to IGI and other venues in Germany. Bylaws: The award is funded by a donation of €2,500 from IGI. As it is focused on supporting applicants from regionally under-represented African countries in the geospatial sciences and technology fields, it is a restricted grant of TIF. It is the intention of the donor to support 1-2 young researchers per year. Deadlines for applications are 1 February 2018. Eligible candidates are chosen by the TIF IGI Grants Evaluation Committee, currently represented by Stewart Walker, John Trinder and, representing IGI, Philipp Grimm. The deadlines for submission of applications for travel grants through the ISPRS Foundation, to attend the ISPRS Midterm Symposia in 2018, are listed in the following table. Application forms will be available 4 weeks before the deadlines. We are organizing a Special Issue entitled "Building Information Modeling and 3D GIS Integration: From the Theoretical to the Practical" in the online journal, /ISPRS International Journal of Geo-Information – IJGI/ (ISSN 2220-9964, IF 1.502, http://www.mdpi.com/journal/ijgi). We think you could make an excellent contribution and would like to invite you to contribute a paper. ISPRS SC board members were able to meet key people who are involved and willing to contribute to the future of the organization at the ACRS 2017. 150th Anniversary of the notion "Photogrammetrie"
This year marks the 150th anniversary of the first publication of the notion “Photogrammetrie”! 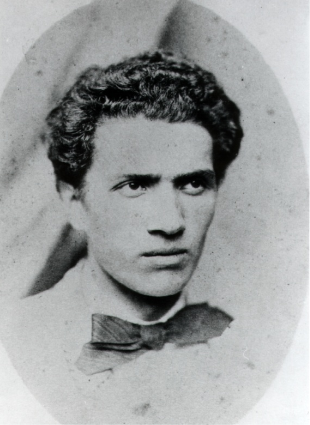 It first appeared in an article written in German by Albrecht Meydenbauer. The article with the title "Photogrammetrie" appeared in issue 49/1867 of the "Wochenblatt des Architektenvereins zu Berlin" (from 1868 onwards entitled “Deutsche Bauzeitung”) from 6 December 1867. In this article, Meydenbauer reported about in the terrestrial photogrammetric survey of the city of Freyburg (Unstrut), Germany, conducted by himself in the summer of same year. He also referred to foundations of the said new technology laid by the French pioneers Chevallier and Laussedat. Further information on the genesis of the term Photogrammetry can be found in a report by Prof. Albrecht Grimm published at Photogrammetric Week 2007 (cf. 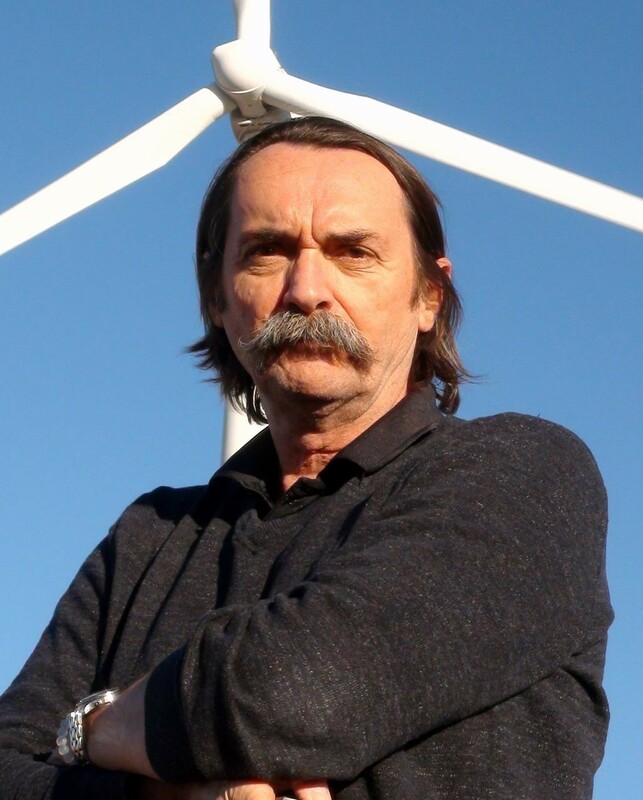 Prof. Albrecht Grimm, incidentally, was recently awarded the prestigious Meydenbauer Medal of the German Society of Photogrammetry, Remote Sensing and Geoinformation (DGPF) to honor his lifetime achievement. 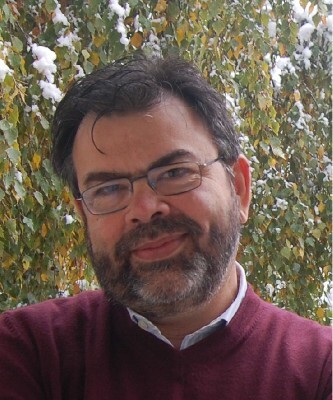 Gilberto is a co-chair of the Belmont Forum, an international consortium of the funding agencies of global environmental change research. The Forum supports international trans-disciplinary research, providing knowledge for understanding, mitigating and adapting to global environmental change. ISPRS extends congratulations to Gilberto Câmara on his appointment and looks forward to future collaboration. ISPRS Ordinary Member, Canadian Institute of Geomatics (CIG) is pleased to announce its new President, Mr. Brian Davies, Director of Geomatics R&D for Dawson Geophysical Company in Canada and the USA, and a Certified Geomatics Manager and Technician and Registered Site Improvement Surveyor in British Columbia. Mr. Davies was sworn in at the CIG Annual General Meeting held on October 10, 2017 in Toronto, Ontario. He is joined on the CIG Executive by Vice-President Ms. Marlene McKinnon, GIS Specialist, Sault Ste. Marie Region Conservation Authority, Sault Ste. Marie, ON; Immediate Past President Dr. Rodolphe Devillers, Professor of Geography at Memorial University of Newfoundland, St. John’s, NL; Treasurer Mr. AbdulKader Hamdo, Retail Location Analytics at Canada Post, Ottawa, ON. ISPRS would like to thank Mr. Alex Giannelia, CIG Past President, for his collaboration with the international society, and congratulates Mr. Brian Davies, along with all new committee members, on the new appointment. We look forward to continued cooperation between the two organisations. More information is provided on the CIG website. This survey is carried out as part of the SLICE3D project, which is an EU Horizon 2020 project (GA No 763641.) aiming to strengthen the Slovenian research and innovation capacities in the aforementioned domain through the new Centre of Excellence, namely, in the spatial data & geoinformatics domain. Slovenia is a European low research and innovation performing country. Among the objectives of the future centre, the following can be outlined: (1) To improve the talent pool that will be able to address societal challenges in Slovenia; (2) To improve research and innovation capacities in the spatial data & geoinformatics domain in Slovenia; (3) To contribute to the knowledge/technology transfer from academy to industry in Slovenia, in particular in the field of 3D/4D geodata, and (4) To develop/strengthen the cooperation with internationally recognised experts in the spatial data & geoinformatics domain. The coordinator of the project is the University of Ljubljana (Anka Lisec, Mojca Kosmatin Fras et al.). As partners with long-standing experience in spatial data & geoinformatics domain, Fondazione Bruno Kessler from Italy (Fabio Remondino et al. ), KU Leuven from Belgium (Danny Vandenbroucke, Joep Crompvoets et al. ), University of Twente (George Vosselman et al.) and Valorisation (Alain le Loux et al.) from the Netherlands, and Swisstopo from Switzerland (Andre Streilein et al.) are included. All accepted papers will be published in ISPRS Archives... The ISPRS Archives are listed in the ISI Conference Proceedings Citation Index (CPCI) of the Web of Science, SCOPUS, and the Directory of Open Access Journals (DOAJ). Selected papers presented at the conference will be published in revised form at the Springer Book Series. your papers presented at Gi4DM can be published at the ISPRS Journal of Geo-Information which is an open access journal with an Impact Factor of 1.502 (2016). The submission site for CRV 2018 is now open at https://cmt3.research.microsoft.com/CRV2018. The submission deadline is January 28th, 2018. The 5th EARSeL Joint Workshop "Urban Remote Sensing – Challenges & Solutions"
The Workshop is organised by the Ruhr-University of Bochum, which will also host the event. The focus is on the topics of the four EARSeL special interest groups Urban Remote Sensing, 3D Remote Sensing, Developing Countries and Radar Remote Sensing. Well-known scientists will present key-note talks on scientific and operational matters. 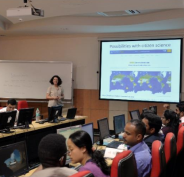 As with the previous Joint Workshops (2008, 2010, 2012, 2014), it is expected that a large number of researchers, professionals, and end-users from Europe but also all over the world, working in the field of remote sensing, will attend the workshop. The organizers would be very happy to motivate you and young professionals and Ph.D. candidates of your team to participate at a perfect location for scientific presentation and discussion. The 56th Photogrammetric Week (PhoWo) was held at the University of Stuttgart in Stuttgart Germany, managed very ably by the new Head of the Institute for Photogrammetry and Remote Sensing, Professor Uwe Sörgel. Invited speakers presented papers in the morning sessions, and the ‘PhoWo partners’, comprising companies which market equipment and software for the photogrammetric, remote sensing and spatial information industries, presented workshops on their equipment and software in the afternoons. The PhoWo partners included Hexagon (Leica Geosystems), Trimble, IGI, Vexcel Imaging, Riegl, nFrames and Pix4D. The theme of the conference was Advancement in Photogrammetry, Remote Sensing and Geoinformatics'. During the conference, the Carl Pulfrich Award was presented to Franz Rottensteiner from Leibniz Hannover University. ISPRS WG V/3 and WG V/4 Geospatial Hackathon "Citizen Science"
Hackathons are events in which people gather together to develop a software project within, usually, 36-48 hours. Even though many hackathon projects include a “geospatial” aspect, this is usually not the focus. Those who focus on “geospatial technologies” are usually hosted by a company, limiting the technologies/data that could be relied on. With the emergence of Open Data and Open Software, the developers could initiate a project in a more independent way. In addition, we are also aware that Citizen Science is an emerging research area in the world. This was officially recognised at the ISPRS congress held in Prague, leading to the formation of the WG V/3 entitled “Promotion of Regional Collaboration in Citizen Science and Geospatial Technology”. Consequently, the first ISPRS geospatial hackathon was organised in Ankara, Turkey on 22-23 September by WG V/3 and WG V/4 with the theme of “citizen science”. We wanted to promote open technologies and share our enthusiasm on citizen science with our colleagues and students. GeoAdvances workshop took place at Karabuk University, Safranbolu Campus, Conference Halls on October 14–15, 2017. The workshop provided a setting for discussing recent developments in a wide variety of topics including Geographical Information Systems (GIS), Spatial Data Infrastructure (SDI) Urban Planning, Architecture, Geology, Multi-dimensional & Multi-scale Spatial Data Modeling, Geostatistics, Location Based Services, Outdoor and indoor positioning, wayfinding and navigation, Smartphone-based positioning, Augmented and Virtual Reality, Building Information Modeling (BIM), Geomatics, GPS, GNSS, Remote Sensing, Pattern and Image Processing, Photogrammetry, GeoInformation for Mobile, Wearable Tecnologies and Wireless Sensor Networks, and Internet of Things technologies, and etc. use of geo- processing tools to increase citizen’s participation and improve the quality of the collected data. 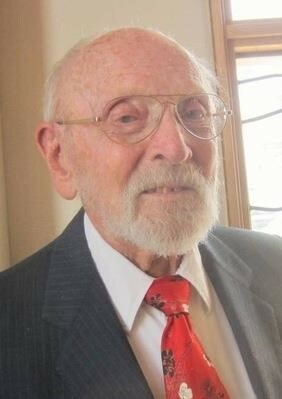 The long serving former Editor of Photogrammetric Engineering & Remote Sensing (PE&RS), Jim Case, died in St. George, Utah on 8th May, 2017 at the age of 88. Jim grew up in Hanford, California and studied for his first degree at Stanford University, graduating in 1950. He was awarded his doctorate in geodetic science from Ohio State University in 1958. From 1970 until 1989, Jim Case worked for the US Defense Mapping Agency (DMA). During that time, he presented the Digital Stereo Comparator/Compiler (DSCC) to the ISPRS Commission II symposium in Ottawa in 1982. Fischer, Andrew M., Pang, Daniel, Kidd, Ian M., Moreno-Madriñán, Max J.
Oldfield, Jennifer, van Oosterom, Peter, Beetz, Jakob, Krijnen, Thomas F.
Arrogante-Funes, Patricia, Novillo, Carlos J., Romero-Calcerrada, Raúl, Vázquez-Jiménez, René, Ramos-Bernal, Rocío N.
Nazeer, Majid, Waqas, Ahmad, Bilal, Muhammad, Shahzad, Muhammad Imran, Alsahli, Mohammad M. M.
Ma, Xiaogang, Hummer, Daniel, Golden, Joshua J., Fox, Peter A., Hazen, Robert M., Morrison, Shaunna M., Downs, Robert T., Madhikarmi, Bhuwan L., Wang, Chengbin, Meyer, Michael B. "SPACED: Using Earth Observations to Protect Natural Landscapes"
30-Nov-2017 Postdoc position on “Integrating Geo and BIM"